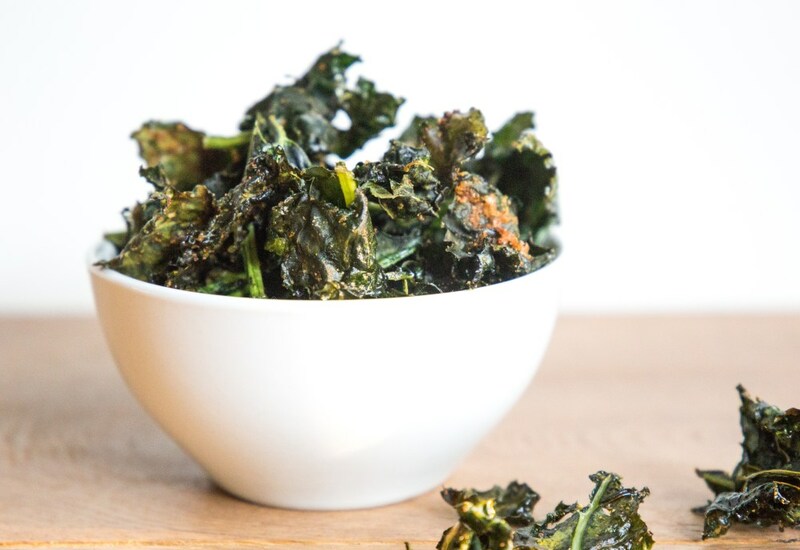 Kale chips make such a great snack for any time of the day. This version of kale chips includes garlic powder, onion powder, salt, and pepper for the seasoning. They are cooked in the air fryer which creates a super crisp and light chip in less time than cooking in the oven. The air fryer produces a similar result as deep frying, but a fraction of the oil is needed! Overcrowding your air fryer basket won't allow the kale chips to crisp up properly. To prevent this, work in batches as dictated in the instructions. Try different seasonings on the kale chips! Curry powder and cumin are a good combo. Or try adding some freshly minced garlic and sea salt. Nutritional yeast gives a nice tangy flavor as well; add it right after cooking. Per Serving: 78 calories; 5g fat; 7.8g carbohydrates; 3g protein; 0mg cholesterol; 207mg sodium. Delish! I had nutritional yeast leftover from another recipe so I sprinkled that on mine as per the recipe tip. LOVED IT. We devoured these as soon as they cooled, but I'm sure they'd probably keep crispy for a few days in a ziploc. I know I'm late to the party, but this was my first time making kale chips! I thought the garlic, onion, salt and pepper spice mixture was perfect. Next time I'll switch it up. I was really impressed by how crispy they turned out.